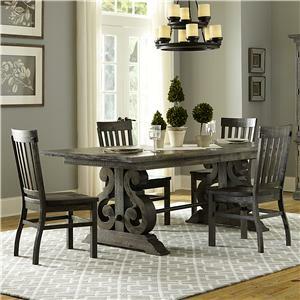 A plank-look pine wood with distressing top and a classy metal base gives this round counter dining table a stylish look. 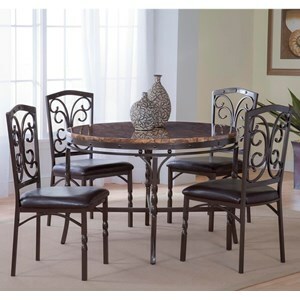 It will become the perfect spot to gather for meals at home. A harp design back complements the arch wood top on the counter stools. 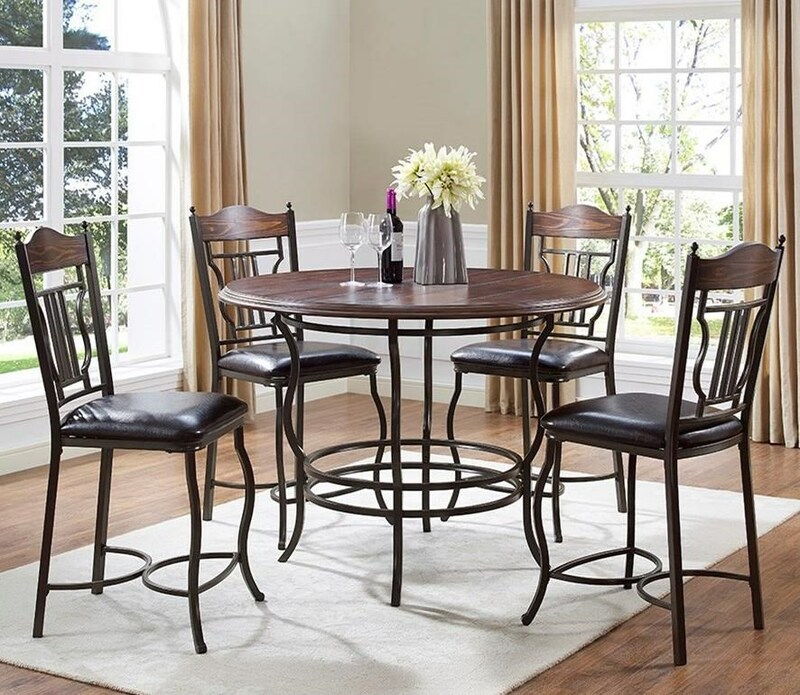 Upholstered chocolate brown faux leather seats and curved metal legs complete the counter stools' design. 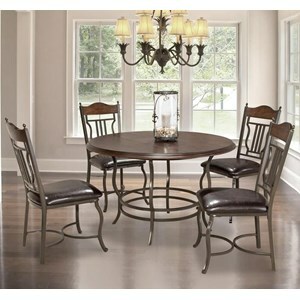 The Midland 5-Piece Metal/Wood Round Counter Dining Table Set at Miskelly Furniture in the Jackson, Pearl, Madison, Ridgeland, Flowood Mississippi area. Product availability may vary. Contact us for the most current availability on this product. Case Construction Metal base and a distressed round pine veneer. Metal finish is charcoal black.